Friday, 3/13 10:30 a.m. – 1:00 p.m.
$5 donation to cover ingredients is appreciated. Cook/bake, hands on, gather some fresh ingredients from the Farm, meet some new friends and enjoy some Israeli culture over tea with Nana or your choice of Coffees. Drop in, stay as long as you’d like. These are informal. This Month: Shishi on the Farm: Iraqi theme and Pesach, Iraqi theme Kuba beril & Kuba Aduma these two recipes are a staple in the Jewish Iraqi home, and are perfect for Passover. 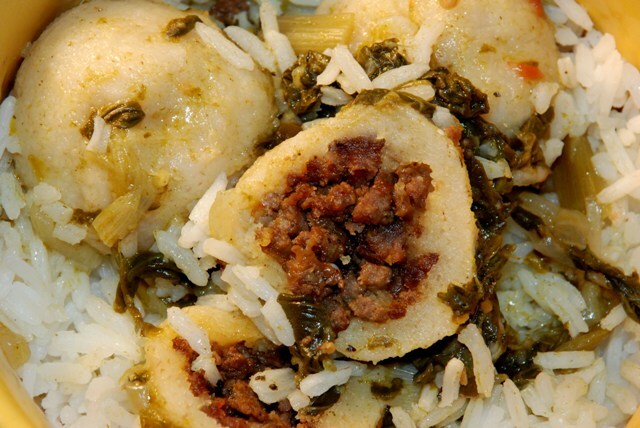 Come learn with us how to make vegetarian versions of these two unique dishes that symbolize the food culture of the oldest Jewish community in the world. Watch for more details about a Film and/or speakers to share the personal stories of the Israel/Iraq connection.